I was in the mood for greens yesterday morning. Collard greens to be precise. 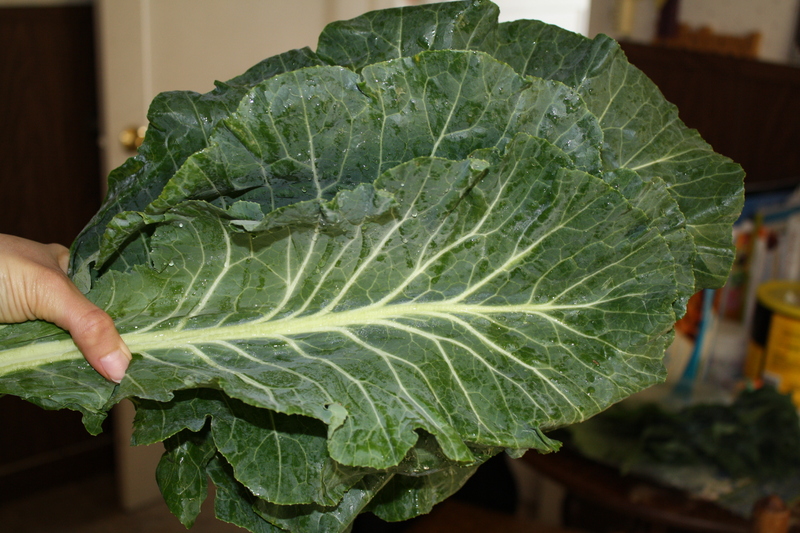 I was inspired by a client who made a delicious sounding dish with collard greens with bacon– what a phenominal idea. 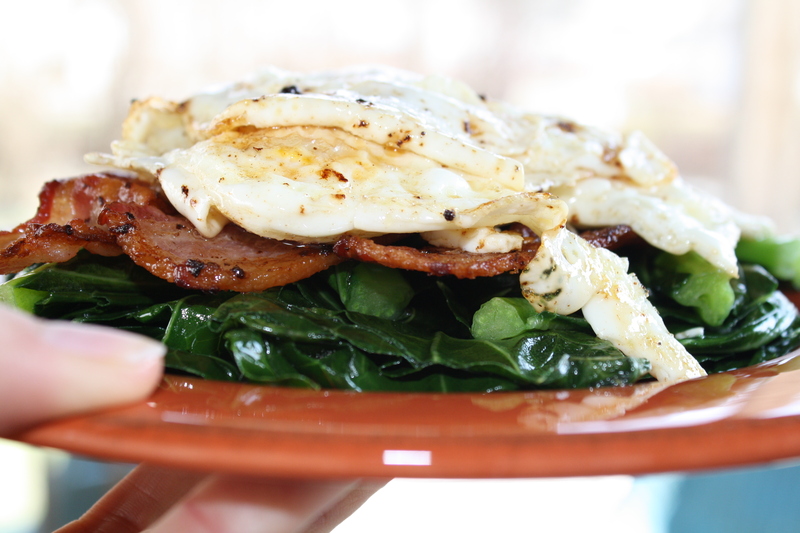 Bacon ‘n’ greens…what could be better? 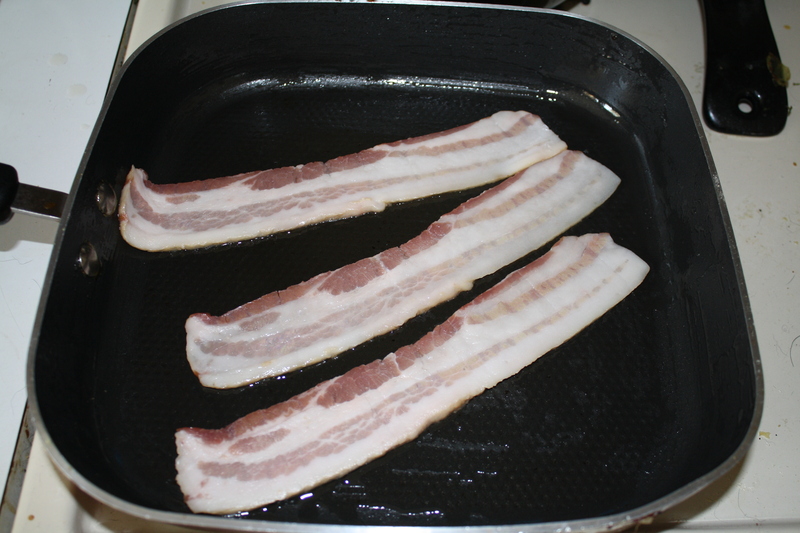 Chopped my collards into strips, and put a little bacon greases into a pan along with two tablespoons of water. 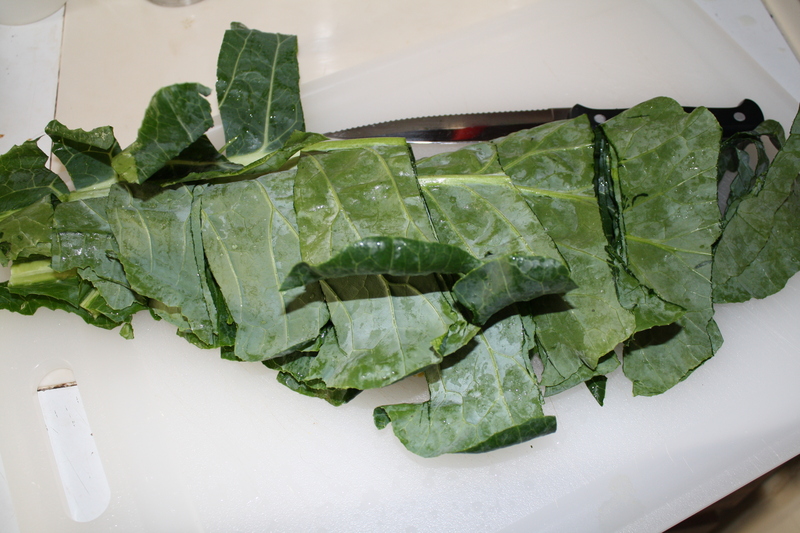 I threw in the collards (stems and all), added some salt and pepper, and covered them to let them steam. While my collards were steaming, I fried up some eggs. 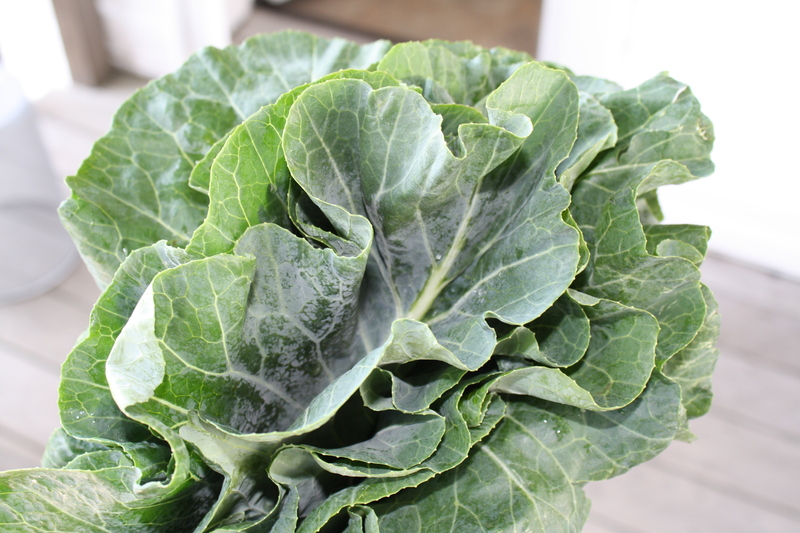 After 10 minutes, the collards were bright green and tender. 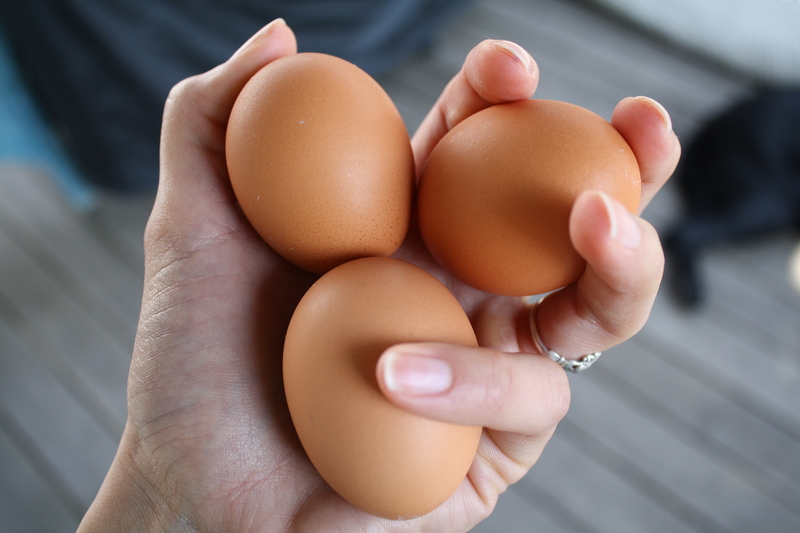 I topped them with eggs and bacon for a delicious, nutritous meal. I’m so glad that you liked it! 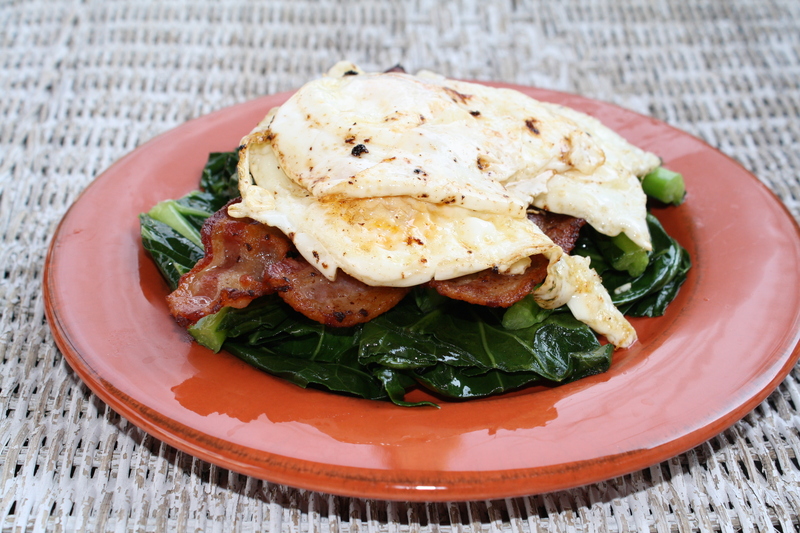 I can’t seem to get enough of the collards and bacon…it might be my new favorite combination! Thanks, Bianca! 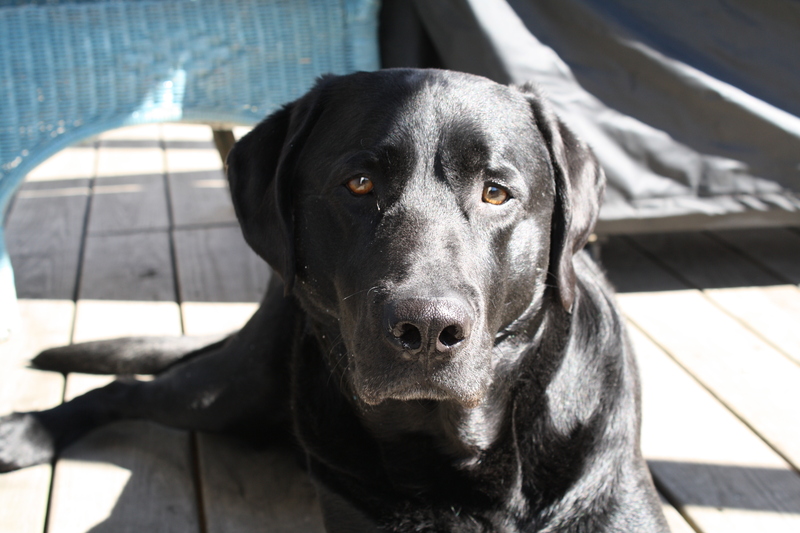 It’s true…bacon does make everything better…speaking of which, I was thinking of making some chocolate covered bacon soon…as a chocoholic, do you have any advice?